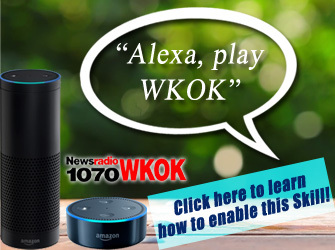 LEWISBURG – People around the Valley continue remembrances of the victims of last week’s New Zealand shooting. 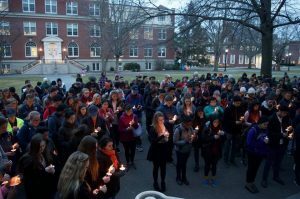 Around 200 members of the Bucknell University campus community joined the Muslim Student Association (MSA) in a candlelight vigil on the campus science quad. Kurt Nelson, Bucknell director of religious and spiritual life, presided over the vigil, which included reflections and prayers by MSA President Omar El-Etr and MSA member Ikmal Azman. MSA members read the names and ages of the 50 victims who were killed in the shootings while candles were lit. The event also included a prayer by Rabbi Chana Leslie Glazer, chaplain for Jewish Community at Bucknell. Amy Badal, dean of students, shared thoughts by Bucknell President John Bravman, who was traveling on behalf of the University.